Mclnvale Heating & Air, Inc. Plumbing & Gas is a locally owned and operated HVAC contractor that serves the greater Jackson and Tri-County areas. Branded as a Customer Care Dealer, we have been bringing you high-quality, cost-effective solutions, installations and upkeep plans since 2000. Our Comfort Consultants focus on residential and commercial indoor quality of air and our experienced service group is definitely "Working to Make Things Better. "Our HVAC services include: package units repair, package units installation, preventive maintenance and indoor air quality, split systems, ductless systems, filtration systems repair and installation. Besides these, we also offer plumbing services including selling and repairing tankless water heaters, sewer lines, water lines, faucets, gas fireplaces and pits, fixtures, lavatories & toilets and much more. Whether you’re looking to install a new HVAC unit in your home or looking for an effective way to repair plumbing issues within your budget, call Mclnvale Heating & Air, Inc. Plumbing & Gas. 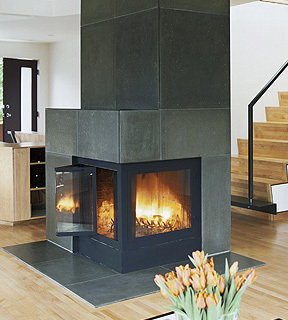 We are here to offer you FREE Estimate. 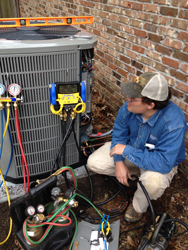 Call (601) 605 9504 to schedule your HVAC repair and installation today! Brands Carried Honeywell, Taco, etc. McInvale Heating & Air Inc., Plumbing & Gas is your go-to team for complete service and installation of all types of plumbing and gas equipment. We service all makes and models, and are ready to assist you with your home or business needs. We offer free estimates for sales on a range of plumbing and gas equipment. Among our most popular recommendations are tankless water heaters. Installing one reduces your water bill and allows a faster, cost effective, more energy-efficient way to handle your hot water systems. Take advantage of our wide range of services today: Tankless Water Heaters, Gas Fireplaces and Pits, Sewer Lines, Water Lines, Faucets, Fixtures, Lavatories and Toilets, Video Inspections, Gas Pressure Test, And Much More!